Ariel Snyder is an associate at Dykema's Dallas office. Mrs. Snyder serves in the Corporate Finance practice group, focusing on commercial transactions. 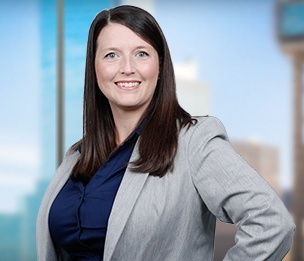 Prior to joining Dykema, Mrs. Snyder gained experience in commercial transactions, commercial and domestic litigation, as well as business and family immigration. In law school, she was an extern for the U.S. District Judge D.P. Marshall Jr. of the United States District Court for the Eastern District of Arkansas, and for the Medical Legal Partnership between Arkansas Children's Hospital and Legal Aid of Arkansas. She also served as Associate Research Editor for the Law Review, and a Rule XV Law Student serving indigent clients. Mrs. Snyder has maintained a strong partnership with Legal Aid of Arkansas as a pro bono attorney, receiving multiple awards for her service to those in need. She has also served and presented for many community immigration events.